As a Westchester, NY PR firm, we love to hear success stories from our clients. Helping clients launch their businesses and make a name for themselves in the community puts a big smile on our faces. It shows we are doing our job and making a difference. 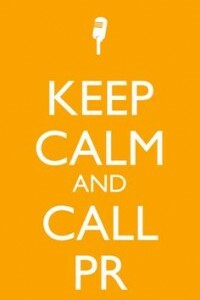 When it comes to running your business you know the ins and outs. You know what makes your business tick, succeed, what type of employees to hire, where you see your business going in the future, the list goes on. However, when it comes to writing press releases, creating a media kit, gathering the attention of news outlets, attracting an audience, and maintaining social media posts, you may need some help. You may be thinking: should I hire a public relations firm? And the answer is: Absolutely! We are all experts in something. Public relations practitioners studied the art of strategically and effectively communicating about businesses to the community. By acting as the middle man, we will be the direct connection to delivering your organization, brand and message to the public. In this world we know that time is money. By hiring a PR firm, you are saving your business the hassle of completing daunting tasks that not all of your employees know how to complete. Say you’re a doctor and you want to announce an award your practice won, would you ask a nurse to type up a press release to it send to the media? Of course not! At the end of the day, you want the job done right. PR firms exist for those exact reasons. As a business owner, you have enough to worry about, let us take some of the weight of your shoulders. 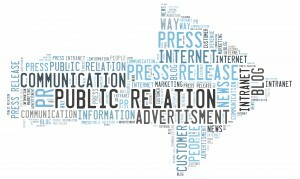 In addition, public relations practitioners offer a fresh, objective approach to your business. We will study the ins and out and get to know and understand your business while offering a highly creative, unique style to attracting all the right, influential people. Some of our expertise includes: writing press releases, pitch letters, and articles to maximize your exposure; researching local competitors to ensure you are on top of the game; assisting with social media strategies; and helping to nominate your business and employees for awards. Let us help you shine and get your business buzzing. And, of course, if you are looking to hire a public relations firm, look no further than Buzz Creators!